Dogs are kind, loyal and wonderful creatures that have served alongside mankind for centuries now. They are also extremely smart and are capable of entertaining us thoroughly. A lot of artists use dogs as subjects in order to create some unique work. 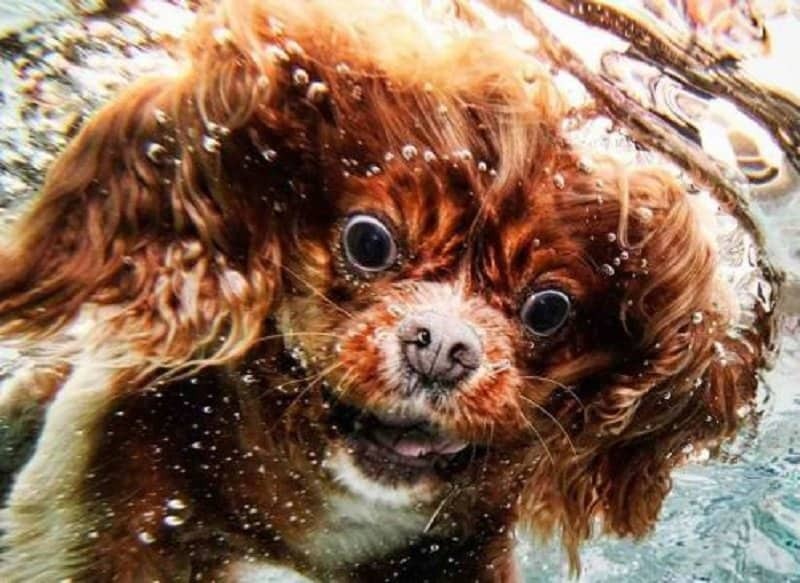 Seth Casteel is one such artist who came up with a brilliant idea of capturing dogs in action underwater. This list features 10 amazing photographs from this unique collection by the artist Seth Casteel. 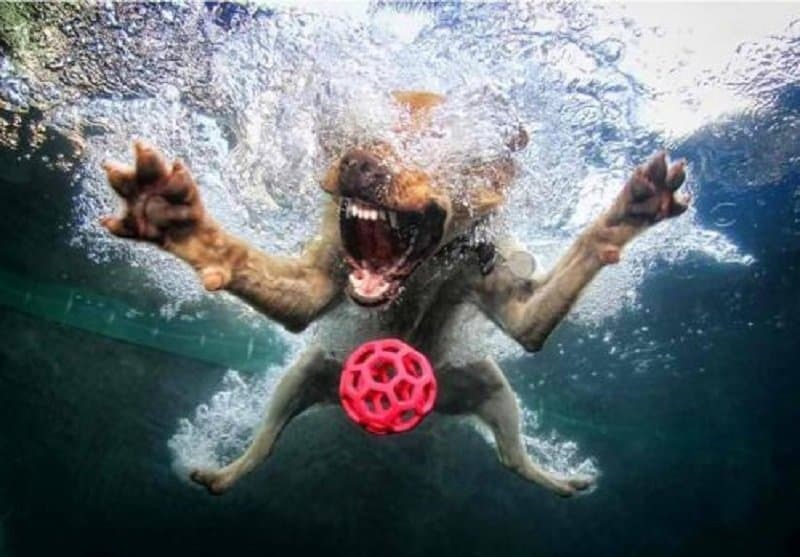 Who needs to dive gracefully into the water when you can spread all your limbs wide and chase after the ball! 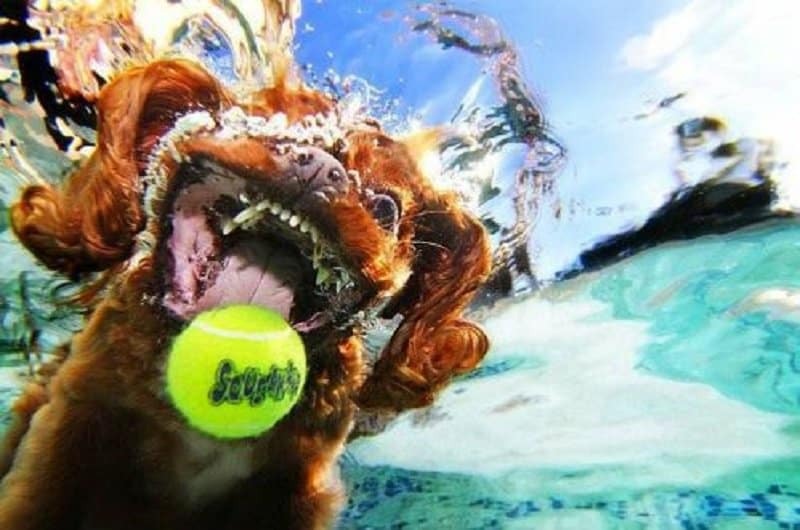 This doggie seems extremely intent on getting to the ball. His focus is unmistakable. This dog isn’t using his eyes as much as his instincts in order to get to the ball. 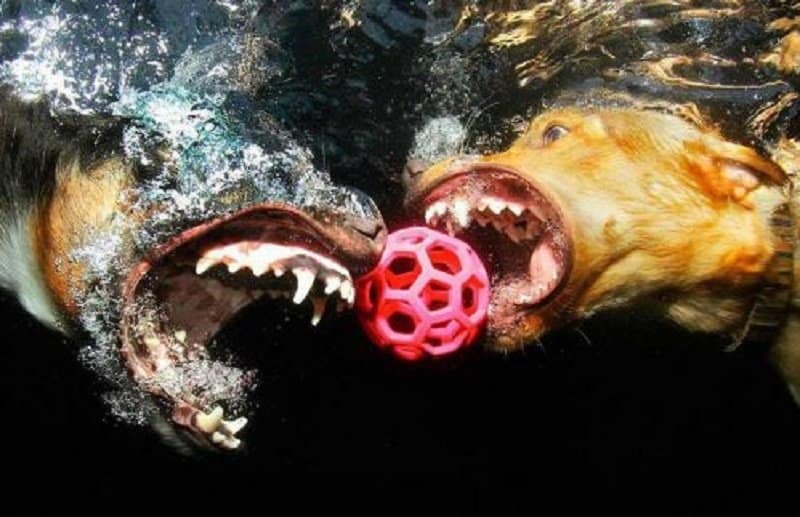 Both mutts seem to be extremely competitive in their quest to get to the ball first. 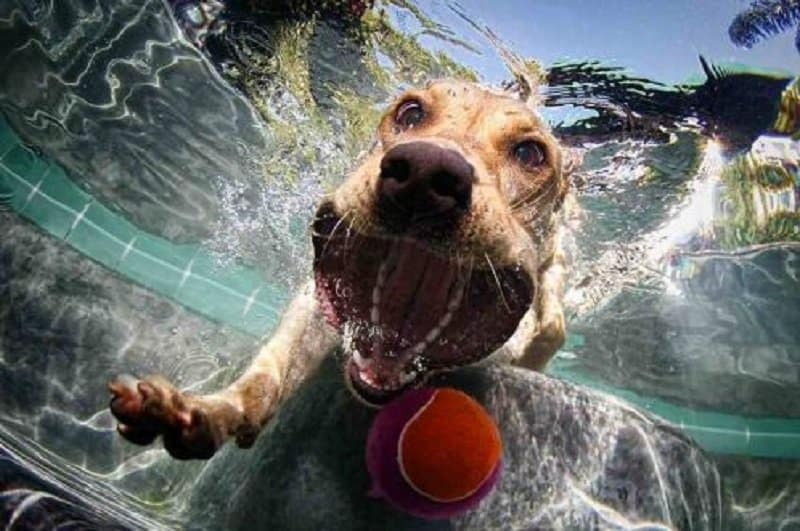 An absolutely adorable picture of this dog trying to fetch the ball. 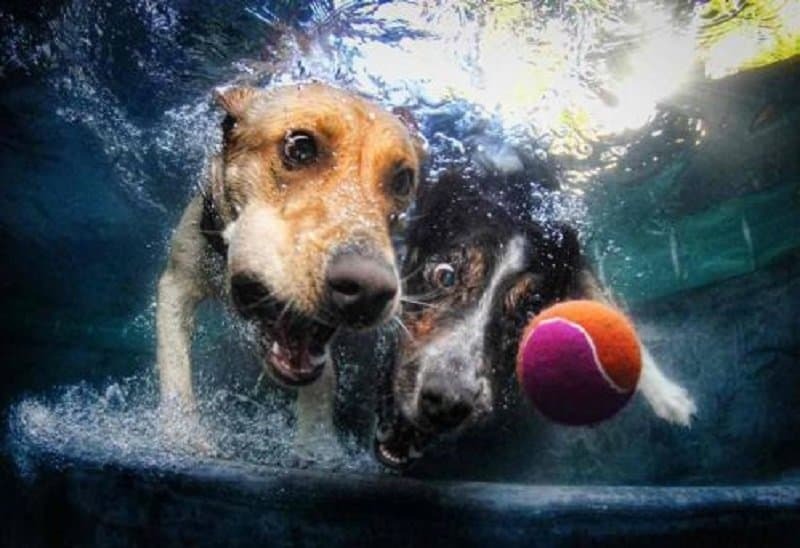 These dogs look like the ball means the world to them. 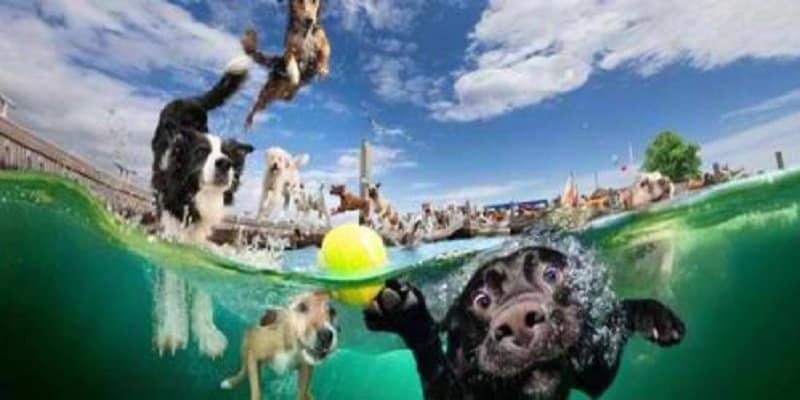 A fun and adorable picture of dogs diving into the water and having a ball. 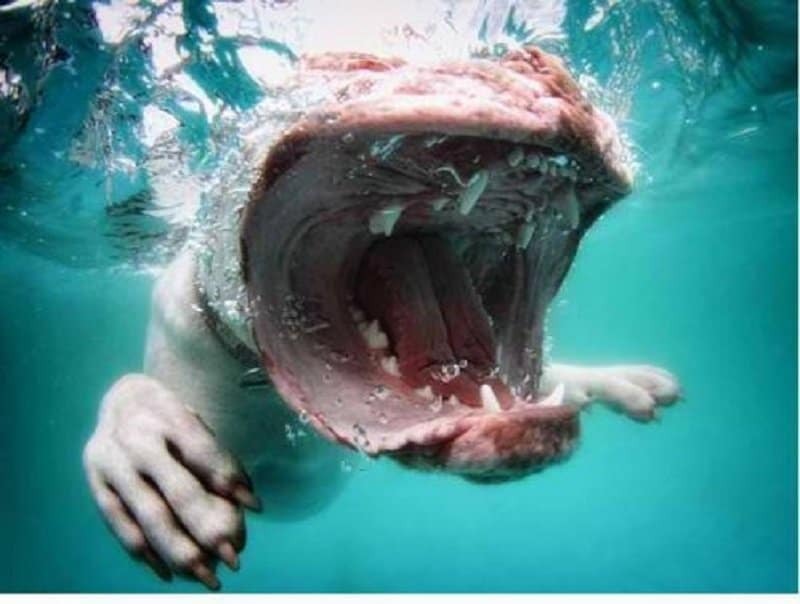 This dog doesn’t have many teeth, but look at the size of that mouth! 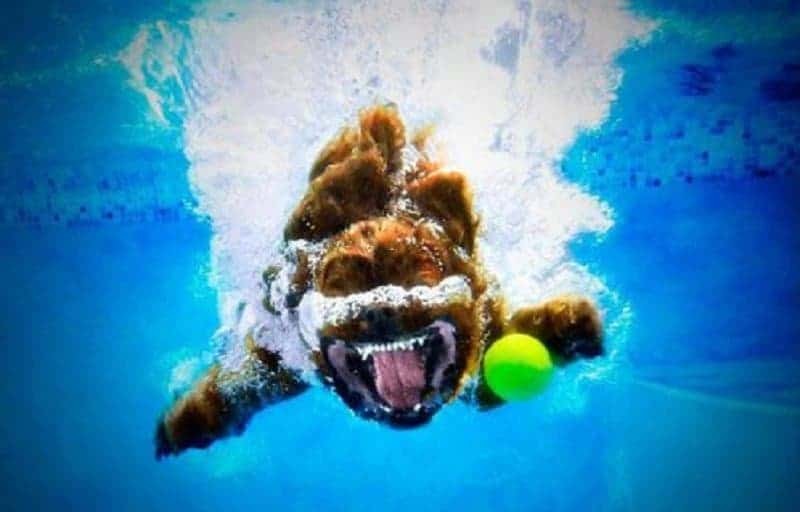 The artist managed to capture this dog smiling awkwardly while trying to chase the ball. 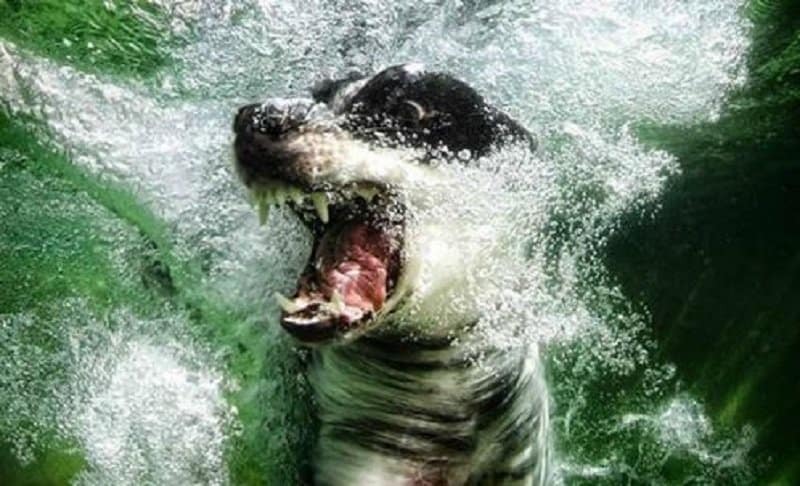 This dog is not very pleased that he has to get into the water to reach the ball.